I had the absolute pleasure of helping out at my first ‘Made in Hackney‘ cooking class held at Groundworks a few weeks ago. 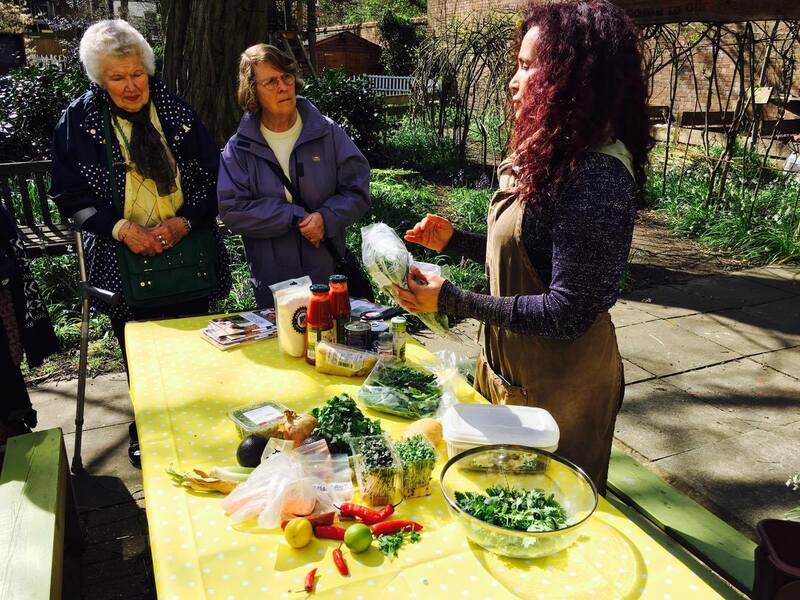 We got fortunate with the weather and decided to hold the workshop in their beautiful garden, currently blooming with wild garlic, perfect for our vegan Mexican chili pot. The class members were from ‘Silver Linings’, an over 55s community group from the Hackney area who were just as enthusiastic as our class lead, Tess. After foraging in the garden for nettles to add to a soup and greens for the guacamole, the group congregated around a wood burning fire heating a dutch oven and toasting our freshly made corn tortillas. As a doctor who’s trying to inspire patients to appreciate the beauty and health benefits of food, this was an experience I wish everyone could have. Taking time out of my clinic and volunteering at the workshop really gave me an opportunity to understand what reservations people have about food and cooking. Sitting round the natural fire enjoying a group-cooked meal, I explored the reasons with some of the members. “It’s too time consuming” “It’s expensive” “I don’t want to ruin it”. But after the class, everyone seemed incredibly energised and positive about recreating this dish and more in their own homes and with their families. I started the YouTube channel ‘The Doctor’s Kitchen’ to demonstrate just how easy, preparing fresh healthy meals can be. Beyond the simple observation that vegetables are ‘good for you’ I delve into the science behind why eating seasonal organic and a largely plant based diet has phenomenal health benefits. The compounds found in brassica vegetables have been shown to be protective against cancers. A diet rich in prebiotic fibre prevents heart disease and we’ve shown that diabetes and insulin insensitivity can be managed (and sometimes reversed) with tailored food choices. 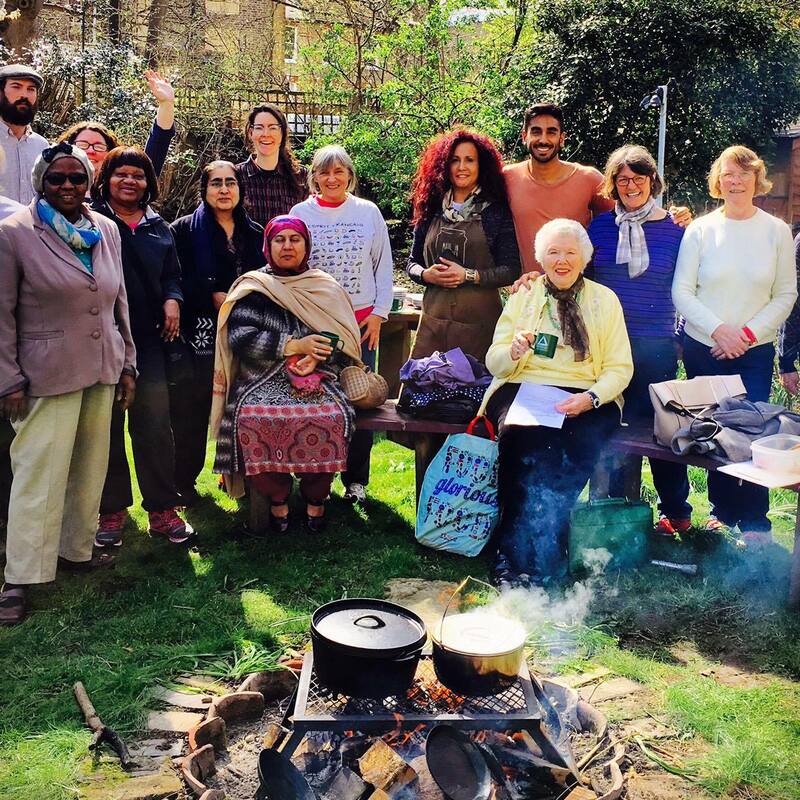 Beyond simply eating well for health, the experience at ‘Made In Hackney’ made me appreciate the importance of social bonding and community building that food creates. The act of preparing a meal with other people, whether it be with your family or new friends, has an incredible impact on general wellbeing. I’m a true believer that the key to perfect health is in the kitchen, perhaps that’s where the elixir of happiness lies too! 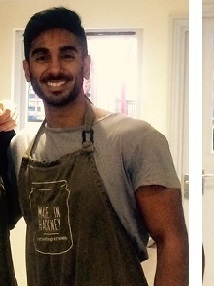 There are tons of ways to get involved with Made in Hackney and become a volunteer like me. Check out the 'Get Involved' section of the website and be prepared to enjoy the experience. I can't wait for my next class!